Shaping a Generation’s Hopes and Fears: What’s the First Major News Story You Remember? Our life experience shapes what we want, what we hope for, what we fear, and what we think. Our generation has different expectations and assumptions about the world than our parents, and a new era gives our children perspectives that are distinctly different from ours. In a political context, it matters that there’s usually a generational divide between leaders and many of those they govern. I was about 7 years old before I first became (dimly) aware of national and global events. Like Willis Sparks, I was young when I first became aware of national and global events. This reminded me of something that’s been making the rounds – what’s the first major news story you remember from childhood? One of the first ‘global’ events I can remember is the Gulf War (the first one). In particular, I remember the Superbowl that happened right near the beginning of the war. It wasn’t so much the Superbowl itself (honestly, I had to double-check that it was the Giants who beat the Bills that year), but the festivities just before kickoff – the national anthem. That year, Whitney Houston performed slayed (can I say that?) the national anthem. 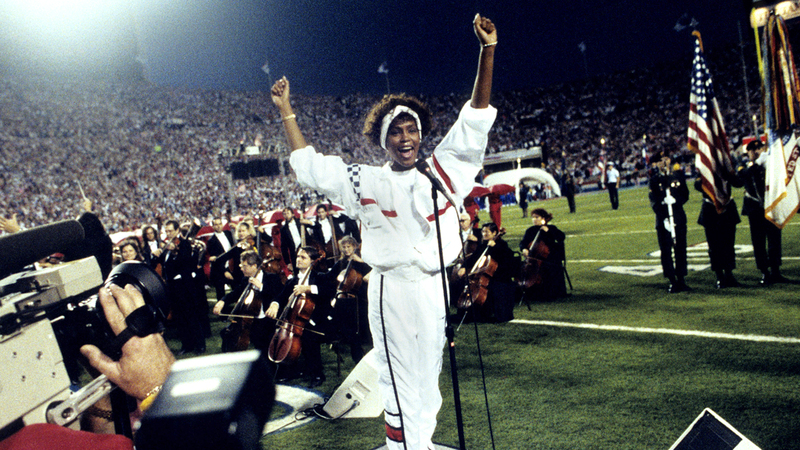 It’s become relatively standard for there to be an honouring of military service members at sports events and frankly, it might have been a “thing” before the 1991 Superbowl, but watching Whitney Houston sing the anthem with patriotic images of officers in uniform and images of the flag… that was a truly memorable moment. As it happens, I wasn’t the only one moved by the experience. I had no idea that that particular event inspired both Beyoncé and Lady Gaga! The performance occurred less than 2 weeks after the start of the war and because of the war, the Superbowl was being broadcast for the first time in countries like Australia and Russia, which means that you could probably count this event as one of those times when a significant number of people on the planet were attending to the same thing. With that in mind, consider how the following numbers will shape politics in important places. Russians under 24 won’t remember Russia before Putin, and those under 34 have no memory of the Soviet Union. South Africans younger than 30 won’t have clear memories of apartheid. They know the African National Congress as the party of power, not the party of liberation. Chinese under 35 can’t recall a time when their country was not the world’s rising economic power. Iranians under 45 have no memory of life before the revolution. French, Italians, and Germans younger than 22 have never paid for a meal with francs, lira or Deutsche Marks. Brazilians younger than 39 and Nigerians under 25 have no experience of military rule. Americans under 23 won’t remember the world before 9/11. Those under 34 didn’t experience the Cold War. Those under 53 won’t remember racial segregation. Something to think about when trying to predict what citizens will want from their governments. There really is something to the idea of how global events shaping our way of thinking about the world. Not only do Italians, the French, and Germans under the age of 25 only know their currency as “the Euro,” North Americans under 25 have only ever known the Euro to be the standard currency of Europe. Might that mean that in 15-25 years when the twentysomethings are in power in these countries, there could be a push to re-establish their own currency? Maybe… but today’s post is not meant to debate monetary policy. Reflecting on how global events can have a cascading effect on generational shifts can make it easier to understand how companies (or countries) can oscillate between extremes. For some folks, “Mr. Gorbachev — tear down that wall!” is the first thing they remember. As Sparks said above, most people under 25 read about 9/11 in a textbook, rather than watching it panic-stricken on a Tuesday afternoon. The next time you frame your understanding of why a company, country, or even your work team (!) is returning to a policy that was retreated from many years ago, consider the generation of the leaders in charge and some of the global events that may have shaped their understanding of the world.